Michael Jackson’s ex-wife Debbie Rowe has threatened to help a fan of the King of Pop kill his disgraced physician. Dr. Conrad Murray was convicted of administering the propofol dose that killed Jackson in 2009 and he has spent the past two years behind bars. He was released earlier this month. And after the medic revealed in a recent interview that he and his former boss would joke about Rowe’s looks, the former nurse, who is the mother of the late pop star’s two eldest children, has hit back. A Los Angeles Court sentenced Dr. Conrad Murray to 4 years in prison for involuntary manslaughter in the 2009 death of Michael Jackson. Four years was the maximum penalty Murray could receive. His lawyer, Ed Chernoff, asked for probation instead of jail, but Judge Michael Pastor slammed the request. “He engaged in this money for medicine madness that simply is not going to be tolerated by me,” Pastor said. “He violated the trust of the medical community, of his colleagues and of his patient and he has absolutely no sense of remorse, absolutely no sense of fault, and is and remains dangerous,” Pastor added. Pastor postponed making a decision on the prosecution’s request that Murray, 58, be ordered to pay $100 million in restitution. The amount is the estimated value of Jackson’s estate had he completed the concert tour he was preparing for at the time of his death. A jury of seven men and five women convicted Murray of involuntary manslaughter earlier this month after two days of deliberation. Prosecutor David Walgren accused Murray of “extreme criminal negligence” for administering Propofol, a powerful and dangerous anesthetic, to Jackson without proper monitoring. Jackson died on June 25, 2009 of acute Propofol intoxication. Murray waited 20 minutes after Jackson stopped breathing to call paramedics, according to witnesses. The Jackson family has arrived at the Criminal Courts Building in Los Angeles for the beginning of Dr. Conrad Murray’s trial in the death of Michael Jackson. Joe and Katherine Jackson are joining the court to hear the opening statements from attorneys in the first day of trial. Michael Jackson was dead an hour before his body arrived at the Ronald Reagan UCLA Medical Center in June, 2009, according to testimony from emergency room doctor Richelle Cooper. The doctor took the stand at an ongoing preliminary hearing which will dictate whether or not Jackson’s physician Dr. Conrad Murray will stand trial on involuntary manslaughter charges relating to the King of Pop’s death. Cooper revealed she gave paramedics who raced to the singer’s rented Holmby Hills, Los Angeles home the authorisation to pronounce the Thriller singer dead. However, Murray – who found the star’s lifeless body in his bedroom – insisted they try to resuscitate the King of Pop for almost an hour. 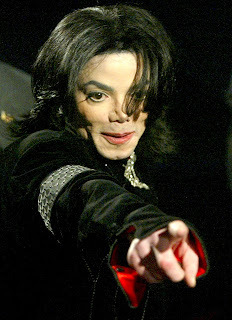 Cooper told the court on Thursday (06Jan10) she authorised paramedics to pronounce Jackson dead at 12.57pm on 25 June, 2009, but they declined at Murray’s request – and because of the singer’s celebrity. Cooper officially pronounced Jackson dead at 2.26pm after the singer’s body arrived at the hospital. Murray’s girlfriend Nicole Alvarez, who the doctor called from the ambulance to UCLA, has been ordered to appear in court on Friday (Jan 7). The preliminary hearing began on Tuesday (Jan 4) and is expected to last two weeks. More than 19 months after Michael Jackson’s shocking death at the age of 50, the only person charged in the case, the singer’s former personal physician Dr. Conrad Murray, is due in court next week. And, according to a Reuters report, Murray’s lawyers plan to defend Murray against a charge of involuntary manslaughter by claiming that the pop icon killed himself when he self-administered a large dose of propofol, a surgical anesthetic Jackson used as a sleep aid to combat chronic insomnia. Murray has pleaded not guilty to a felony charge of involuntary manslaughter and has admitted to giving Jackson propofol. Murray’s lawyers have said the physician did not administer any drugs that “should have” caused Jackson’s death. 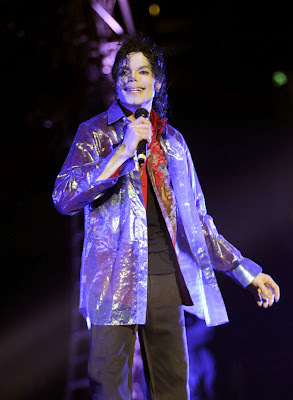 The investigation into his death was lengthy, lasting more than eight months, after which Los Angeles prosecutors charged that Murray gave the King of Pop a lethal combination of propofol and other painkillers and sedatives in the hours before the singer was found dead in his rented Los Angeles mansion on June 25, 2009. Murray faces up to four years in prison if convicted.